Today, video is everywhere. Whether it be an iPhone shooting super-slow-motion footage, or a RED Weapon eating away at hard drive space in 8K resolution, capable cameras are available to almost everyone who wants them. 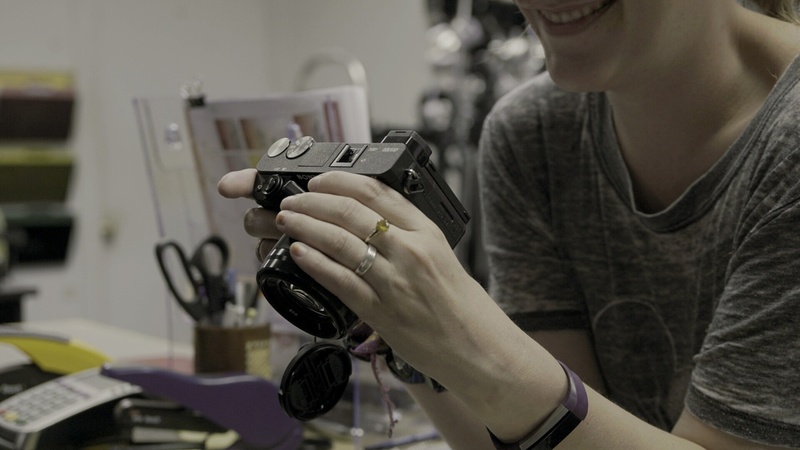 And while we can’t all shoot on RED, it’s possible to get amazing production quality out of consumer-level cameras. Here are a few things to look out for and keep in mind when purchasing gear. Almost every camera in production compresses video in one codec or another. Most cameras like iPhones or point-and-shoots will use MPEG or AVCHD at best. These codecs throw away a lot of information like color and dynamic range. More video oriented cameras like the Sony a7S II or a6300 will allow for the awesome (read "far less compressed") XAVC-S codec. As far as in-camera recording, this is about as good as it gets for the under $8,000 price point. There is a workaround, however, and that is the use of an external recording device. The options are virtually endless. 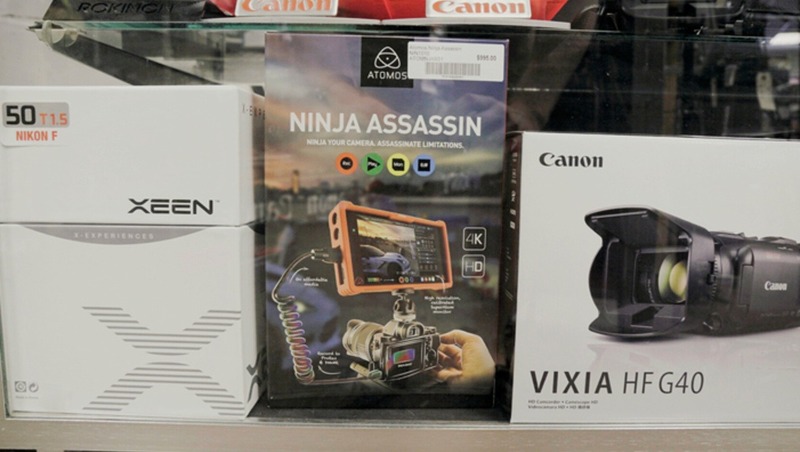 For the price conscious, look at the Ninja 2 or Ninja Blade. The Ninja 2 allows you to record in a virtually uncompressed codec called Pro Res. There are three different levels of Pro Res — LT, HQ, and 422 — each offering less and less compression in exchange for larger files and more detail. The Ninja Blade offers the same recording performance as the Ninja 2 with the added benefit of focus and exposure aids like peaking, zebras, false color, and various scopes. There is one more benefit to these and I will discuss this more in depth in another point. 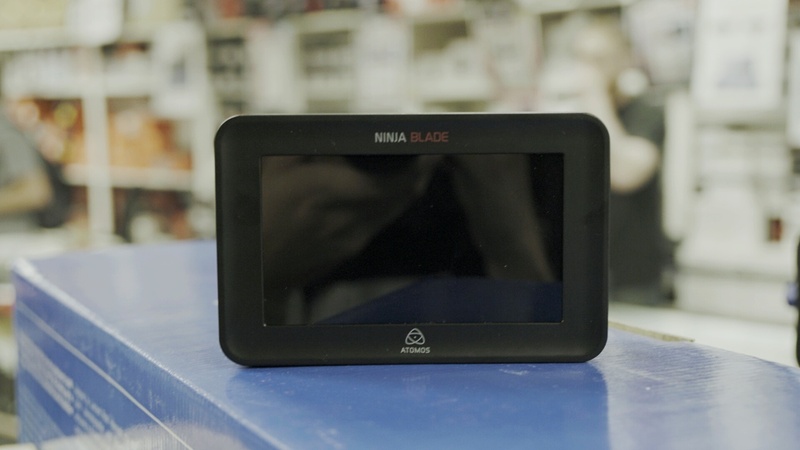 The Ninja 2/Blade records straight to solid state hard drives (SSD) as opposed to SD or CF cards. I’m going to assume that you aren’t shooting on film (if you are, kudos to you) or tapes. The media you end up buying is mostly depending on the camera. The options nowadays are SD, CF, CFast, XQD, and SSD. SD cards are everywhere and they’re extremely cheap. The only downside is the relatively slow speed. On my a6300, a 633x SD card will handle 120 frame-per-second 1080p footage with no issue. For XAVC-S and down, SD should be fine. Of course, any camera that has an SD slot is unlikely to need anything faster than SD. CF, or compact flash, is a fast media. Write speeds reach around 160 MB/s on the high end. Not a lot of current video cameras use these, but you’ll find some video feature laden SLRs like the 1D-C or D5 using them. CFast is basically an upgrade on CF. If you look at the card next to each other, they look awfully similar. CFast speeds make CF look slow. You’ll find these cards in cameras like the new 1DX MkII or the C300 MkII. 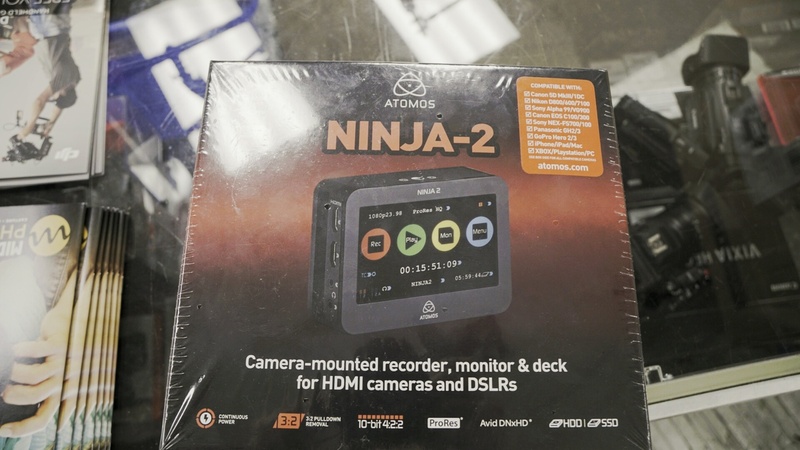 The Atomos Ninja Star also records to these. XQD is very much a Sony/Nikon thing. XQD is in the D5, D500, and various high-end Sony cinema cameras. XQD is blazingly fast and expensive. Solid state drives are king. They are as fast as XQD, but wildly inexpensive. At the time of writing, a 240 GB SSD is about $60. The downside (or advantage in my opinion) is that you have to use an external recorder to take advantage of them. 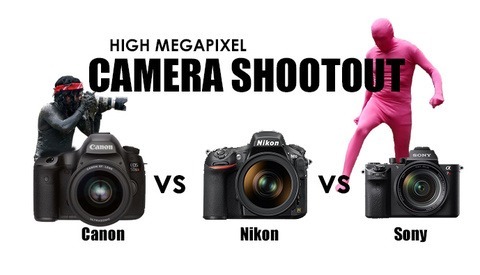 I say that can be an advantage because any camera can use these. You can get amazing speed and convenience regardless of your camera. What does this all mean? Nothing really. Just keep in mind that you’ll need to take the costs of the media into consideration. If you shoot RED, you can enjoy almost $1,000 storage media, if you shoot a RED hooked up to an SSD recorder, you not only have amazing flexibility and monitoring, you have cheap media. 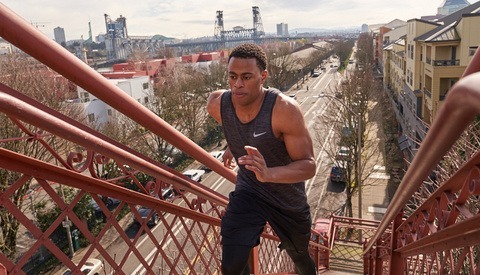 In the world of video, the camera matters far more than in the world of stills. Every interchangeable lens camera shoots raw stills, not every camera has a log curve, or focus peaking, or exposure guides. Do you need a lot of lens options and good rental house support? If built-in XLR audio inputs are important, your price point will rise for that extra convenience. While I don’t recommend getting fixated on sensor size, it can affect your work. If you’re shooting documentary, shy away from small sensors as the dynamic range and ISO performance may not keep up with the demanding environment quite like an Sony a7S II. Back to the codecs bit, different cameras will be capable of shooting in different codecs and recording onto their native media. Understanding your workflow/final output is important in choosing what level of compression you’re OK with. There are different tools for different jobs, and cameras are no exception. Aside from the story, the audio is the next most important thing. I’m not entirely sure who said it, but it goes something like, “Bad visuals are forgivable, but bad audio will make you audience walk out.” As humans, hearing is an incredibly important part of understanding content. If what you’re seeing isn’t great, it’s tolerable. But if the audio you hear isn’t clean, it clips often, and sounds flat, it’s an entirely unenjoyable experience. Pay attention to your audio and understand that like lenses, there are different microphones for different instances. Don’t record into your camera for anything other than a sync track if you can help it. The reason for that are the rather poor preamp that are built into SLR and mirrorless cameras. I highly recommend a recorder/preamp like the Tascam DR-60 MKii if you’re on a budget and need to record audio right into the camera. 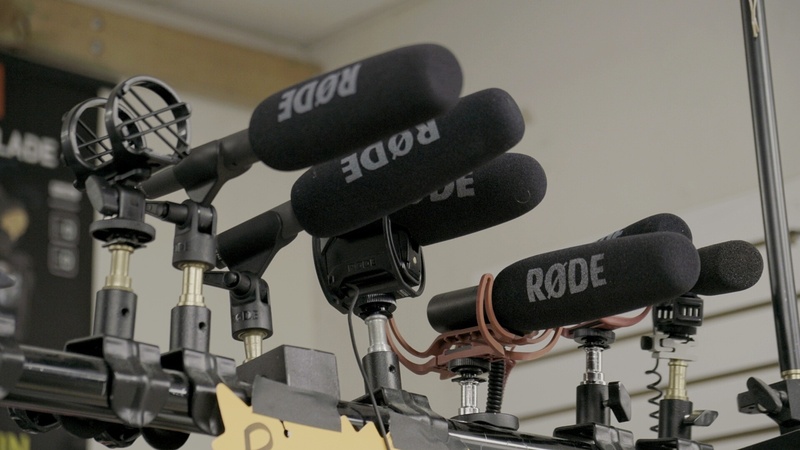 The Tascam also gives you XLR inputs for better audio quality and the ability to use professional mics like the Stereo Videomic X or NTG3 from Rode. Different lenses will offer different things. Are you shooting astrophotography time-lapse? Consider the Rokinon 12mm f/2. Are you working on a motorsport documentary? A Sigma 150-600mm may work better for you. There are different tools for different jobs. That being said, don’t feel like you need to show up to every shoot with five different zoom lenses. If you’re a Canon shooter, the trusty 24-105mm f/4 L will do almost everything. If you shoot Sony, look at the E 16-70mm or the FE 24-240mm. Content comes first, and I find that lenses are the easiest way to lose sight of that and get caught up in the gear. Keep it simple at first and build as you find yourself looking for certain focal lengths more. Cameras are small now. The Sony a6300 and Black Magic Pocket Cinema Camera are tiny, yet powerful machines. Unlike the cameras at the dawn of the digital age, we have freedom to move the camera wherever we like and however we like. Of course, corporate video interviews and seminars will be less likely to require the use of a Ronin-M than a narrative or documentary filmmaker. Cameras being used to shoot seminars and live TV shows are on the large side, unlike cameras for narrative and documentary work. If you’re going to mobile with your camera, get a stabilizer. 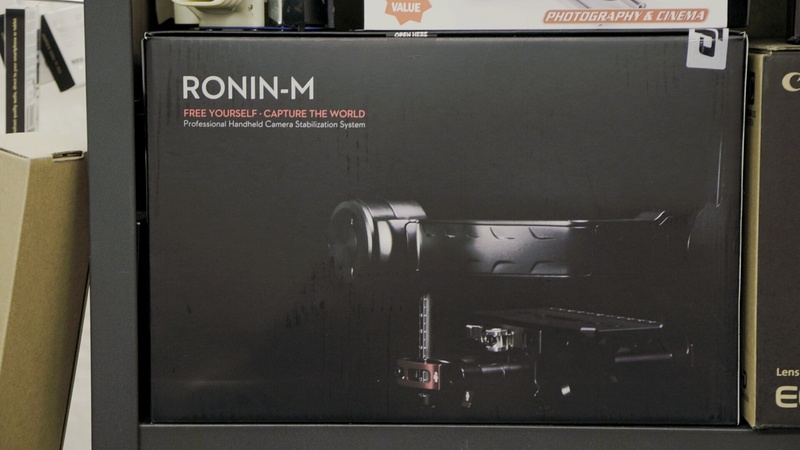 The Ronin-M is a beautifully inexpensive and effective piece of equipment that makes incredible camera work more accessible. Like a good sturdy tripod, a gimbal is integral to the quality of your work. I cannot stress enough that gear does not make you a better filmmaker or photographer. There are, however, certain things that are necessary to create high end motion pictures. You have to understand that video is expensive. I hope that this short guide has given some insight into what it is important for filmmaking so that you can focus on just that: making films. One esential piece of kit you must have when shooting video is ND filters, variable ND filters are ideal. You have to cut the light down becasue you are shooting arond 1/50 for realtime motion. This is ESSENTIAL. When using a camera like the Sony A7 and using certain log settings consider the the ISO is locked very high. A gimbal like the Ronin shouldn't be part of this discussion. It's an advanced piece of kit that needs a lot of preparation to use and can be unweildy on any shoot. A monopod is ideal stabilisation for video. The Canon 24-105mm is a decent lens, another one to consider is the Tamron 24-70 2.8. The extra stop of light gives you a few more options. It's not as sharp as the Canon but good enough for video. While photography and video are indeed related fields, it seems to me they are separate fields. There photographers who do 'a bit of video on the side', just as there are photographers who do graphic design (a related but separate field also). What this article demonstrates is that doing video well, amounts to basically learning a whole separate new skill and purchasing a whole new set of tools (at quite a price). I have no problem with photographers doing so — but anyone who thinks photography and video are 'merging' fields of expertise clearly has no idea what (s)he is talking about. Disappointed not to see the URSA Mini on this list.. Pro Res & raw for well under $8K. Has nice pre amps, global shutter, and comes as either EF or PL mount. By the time you ad the Ninja and a descent audio Preamp & recorder to a camera like the A7s, there pice starts to go in favor of the Ursa, and its far less clunky at that point. Honestly, I think when it comes to video nowadays people overlook dedicated video cameras. I'm someone guilty of owning an A7Sii as a personal camera to take video and shoot personal projects with. However, if I'm working on something with a budget and can allocate it towards a camera like an URSA MINI or RED, I'll do that. I do agree with you. For people looking to get into video, I think the URSA MINI gets overlooked for FS7's C300's etc. I also think this is because BlackMagic makes it, and many people already have a poor taste in their mouth from their other cameras. URSA MINI's are great for the price point and what they have built in. 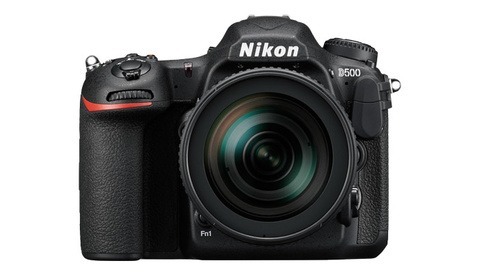 Yeah people definitely tend to lean towards DSLR's but its a shame because they are missing out on a lot. I have a friend who shoots a lot of editorial assignments on the Black Magic, and then pulls dng files from it. They look amazing and it works really well.